A new mall will open within the next month, it was announced by a local newspaper. It is located in the very centre of the town, just a stone throw’s away from the Green market. It will be smaller than the already existing one but still with its 10,000 sqm will bring joy to the shopping fans. The shopping complex will host more than 30 shops, a bank branch, cafés and a restaurant. There will be also two parking lots, one of which – underground; they will have a combined capacity of 100 vehicles. The construction of the building was started in 2006 but it was not finished because its owner went bankrupt. A new buyer couldn’t be found and the bank which acquired the property after the initial investor went bust decided to keep and finish the property and manage it through a subcontractor. 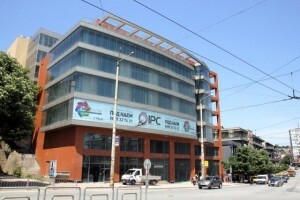 The paper points that Veliko Tarnovo municipality is also eager for the mall to be put in operation because the local treasury is expected to receive more than 500,000 euro in taxes yearly; all the required documents so that the shopping centre see its first visitor are expected to be ready within a month.